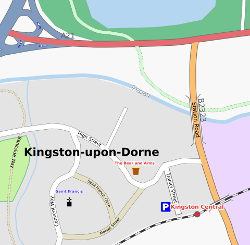 Using the fictitious Kingston upon Dorne, the book demonstrates how a village is mapped for OpenStreetMap. 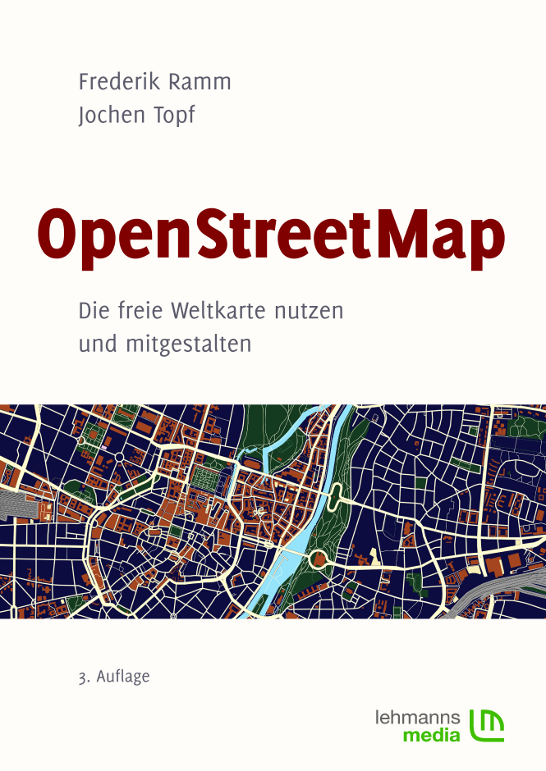 This is the website for the book "OpenStreetMap: Using and Enhancing the Free Map of the World". The English language version has been published in September, 2010. 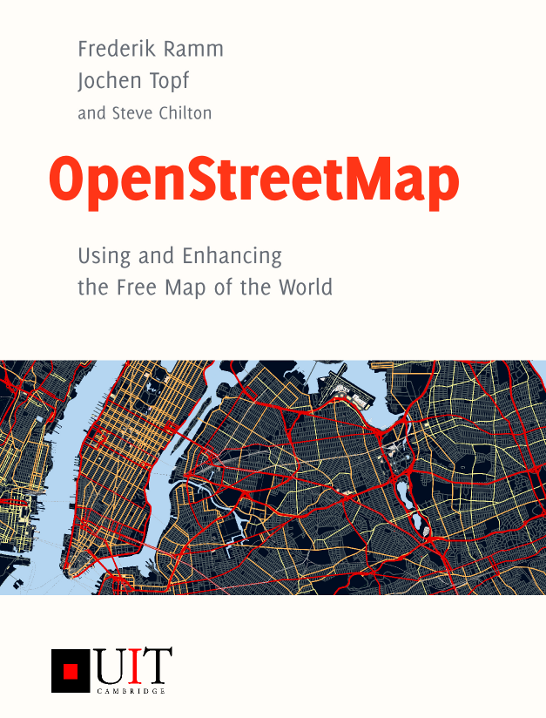 OpenStreetMap is a map of the whole world which can be used and improved by anyone. Using an open community process, thousands of people from around the world collect geodata in a central database. The book gives a comprehensive overview about the community, the data model, and the software. It will put you in a position to use this growing collection of geodata for your own projects. The book also explains in detail how the geodata is collected and edited for OpenStreetMap. If you want to help improve the map, this book is the ideal starting place. The first edition in English was published in September, 2010. This edition is loosely based on the 3rd German edition and has the same number of pages. In addition to translating the text, many examples have been adapted to fit the international audience, and an extra appendix describes the status of OSM in various countries. The 3rd, revised and extended edition was published in May 2010. Compared to the 2nd edition, this one is 32 pages longer (now 384 pages, 32 thereof in colour). We have checked and updated every chapter. The most important additions and changes were about advanced tagging topics, the treatment of editors, mobile software, mapper tools and Osmosis. For the first time the book also explains how to set up your own tile server. The 2nd, revised and extended edition was published in March 2009, it is out of print. The 1st edition was published in February of 2008, it is out of print.